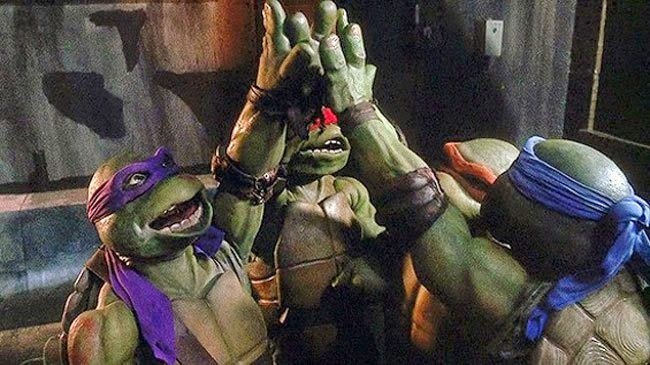 Last summer Michael Bay produced a new Teenage Mutant Ninja Turtles movie. It was not all that good, albeit not as bad as I was expecting it to be. 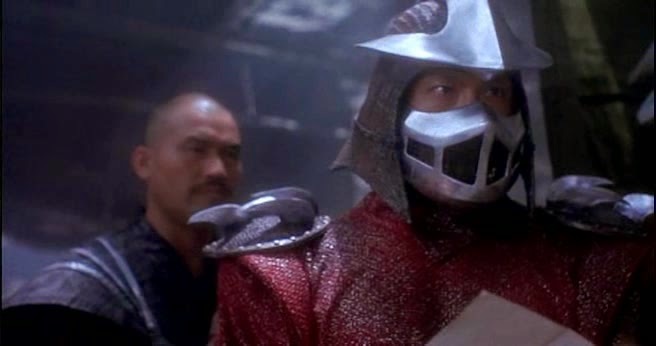 Still, watching it made me nostalgic for original live-action Turtle movie way back in 1990. It came a year after Batman, which I believe is the movie that cemented my love of movies, but that is a discussion for another time. The Turtles came to the big screen with plenty of hype and anticipation and I was ready for it. I loved the movie as a young teenager and surprisingly, I still love it now, and I do not think it is purely for nostalgic purposes. When it comes to this concept ever being a success, it has to be a bit of a surprise right? Think about it. The movie, preceding cartoon, and original comic book is called Teenage Mutant Ninja Turtles. Think about that. It just sounds utterly ridiculous and there is really no reason why it should work, but it does. The cartoon is one of those touchstones of my youth. I loved it. Then there was that arcade game, you know the one, that thing was great. Then the movie came in 1990, likely looking to build off the success of Batman. It did prove to be a success, almost daring naysayers to step forward. The movie really is a simple one, but it brought many of the cartoon's elements to the big screen. 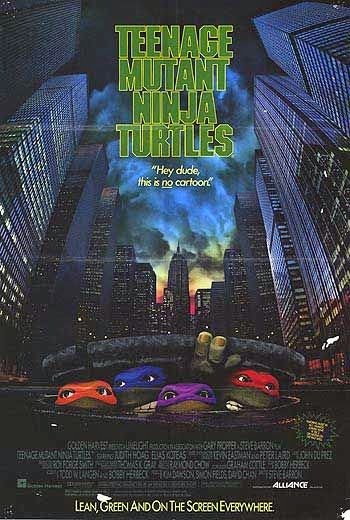 We had the four young turtles, named after Renaissance painters and trained by a rat, a bad guy named Shredder and his gang, the Foot Clan, news reporter and friend April O'Neill, and masked vigilante Casey Jones. Oh yeah, there was also their love of pizza. Mix all of these things together and you end up, amazingly, with a fun action movie aimed at the young set that dealt with kids sense of loneliness, alienation, and rebelliousness. Interesting, right? Think about the personalities of the turtles, they are a distillation of kids at the time, the leaders, the nerds, the comedians, the hotheads. No, not perfect, but you can see it. It is interesting to watch it play out as you have the one teen lured to the Foot as an answer to his alienation, offering family and protection, only to be revealed as something completely different. Plus, on the Turtles side, you have Raphael and his own alienation. Both coming together to realize there is a bigger truth to be found. As I watch the movie now there was a definite fear that it would not live up to the memories of more than two decades ago. While I like the movie a lot, it is not one that I watch all that often over the years. You could see the surprise on my face as the memories all came flooding back, taking me back to my youth, but still allowing my current eyes to see. It all flooded in, the alienation theme, the goofiness of the turtles antics, and the action sequences that are surprisingly well shot. 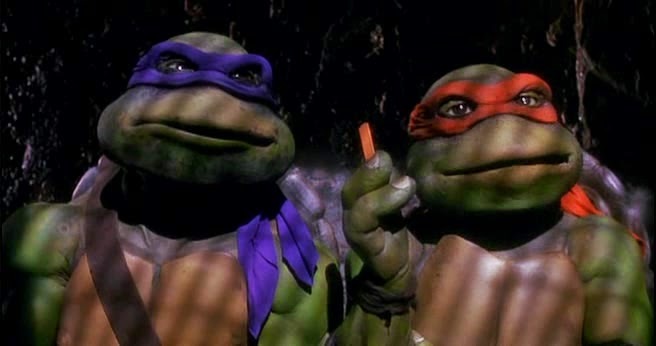 Teenage Mutant Ninja Turtles is a relatively simple and silly movie. It has moments of depth, it has moments of abject silliness, but it is overall a positive movie that teaches lessons of friendship, believing in yourself, and realizing the world is not out to get you. Plus it has giant ninja turtles that are also teenage mutants! As you can see, I wanted to write about the movie, but it is one I have a hard time finding a lot of words for. It is a part of my childhood that I don't want to forget and am glad to see it holds up to my memories and even offers more to this film lover. Frankly, I did not expect it to. It is a great feeling to see something bring your childhood back, not stomp on it, with the added bonus of heretofore unremembered depth.